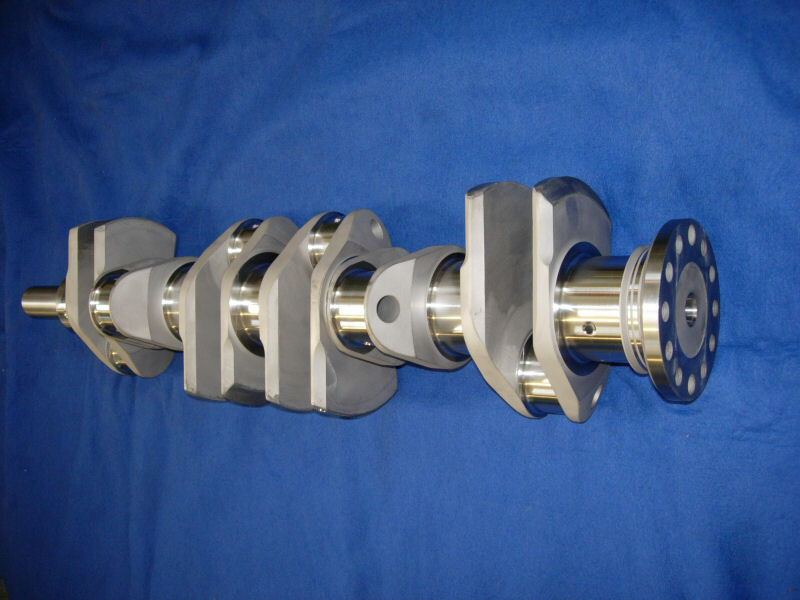 Custom billet stroked crankshaft increasing cubic capacity to between 4.6L to 4.7L, depending upon precise cylinder bore sizing. Uprated billet oil pump, Team CJ super-light billet steel flywheel, HP crankshaft balancer, custom forged Carrillo connecting rods, custom forged racing pistons, uprated billet camshafts, special tappet guides and tappets. TEAM CJ Stage Two 6 (4.7L) engines are rated at about 380 HP (+/-) and about 435 ft/lbs (+/-) of torque (pump gas). Warranty for a TEAM CJ Stage Two 6 engine rebuild is 12 months with unlimited miles. Race use specifically excluded.